Everyone faces hardships in their lives, but some people are born with a combination of disabilities that they cannot control. Certain people may be visually impaired, unable to walk or have other physical disabilities that force them to have a harder time living in today’s society. Other people may have neurological or psychological problems that impair them from doing common daily activities. People do not just have to be born with these disabilities; they can also come later in life from traumatic experiences. Whatever it may be, people with any sort of disability face many challenges throughout their lives. Some of these challenges include: physical environments that are not accessible, negativity towards the disabled and services that are needed but not existent. Having to adapt to every environment: Most public environments such as shopping malls and parks, are created for the average person with an average height, weight and physical structure. Although, sometimes these public places are not well adapted for people with disabilities. 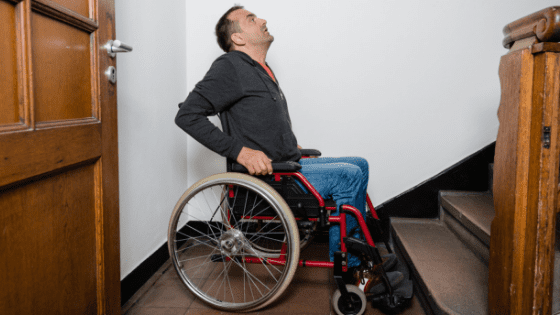 All too often wheelchair accessible ramps are not in sight, only stairs. This makes it more difficult for people with disabilities to move around hassle-free in some public places. Not being able to move around discreetly: When you are walking around in a public area, you do not usually notice every single person you see. You usually just pass by people, without even looking at them. For people with disabilities, it can be a different story. In public, people can stare at you because you look or act differently than them, which makes going out in public a challenge. It can be difficult to be the center of attention all the time. Always having something to prove to others: A lot of the time, people will think you are not capable of doing certain things because you are labeled as “disabled.” In most cases, that is not true. On the contrary, it is common for people with disabilities to be extremely independent because they have learned they must be in order to navigate the world around them. It is usually important for them to prove their abilities should be the focus, not their disabilities. Take for example, disabled athletes. 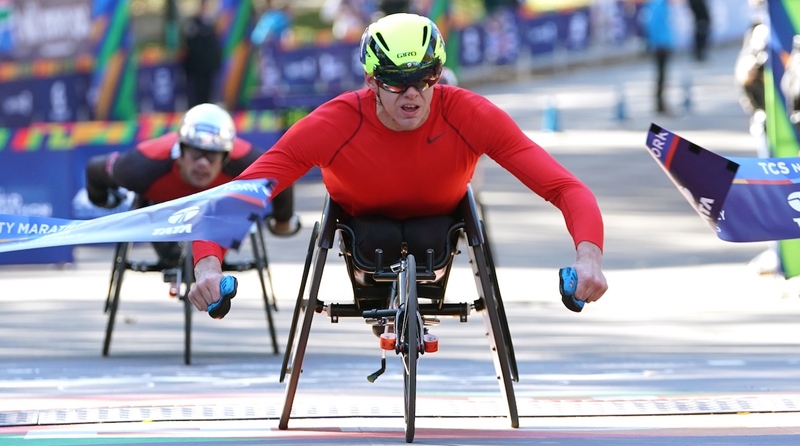 Pictured here are recent competitors in the New York City Marathon 2018. When you view this picture, it is easy to be astonished at this man’s capabilities, to complete a 26+ mile marathon. No one would dispute that he has had to overcome challenges, including equipment, training, roadways and sidewalks that impact his ability to participate in this sport. He certainly is not trying to be discreet, as he is proud of his training and accomplishments. Thirdly, he is proving to everyone that his abilities far outweigh his disabilities. For people with disabilities, Diversified Resources offers an array of different services to those in need. We provide help at home to make things easier for disabled adults, such as personal support services.